For my last 2013 blog post (along with my best wishes to you for the new year) I wanted to show the rather cluttered cockpit of Ralph, my Alfine 11-speed Brompton. 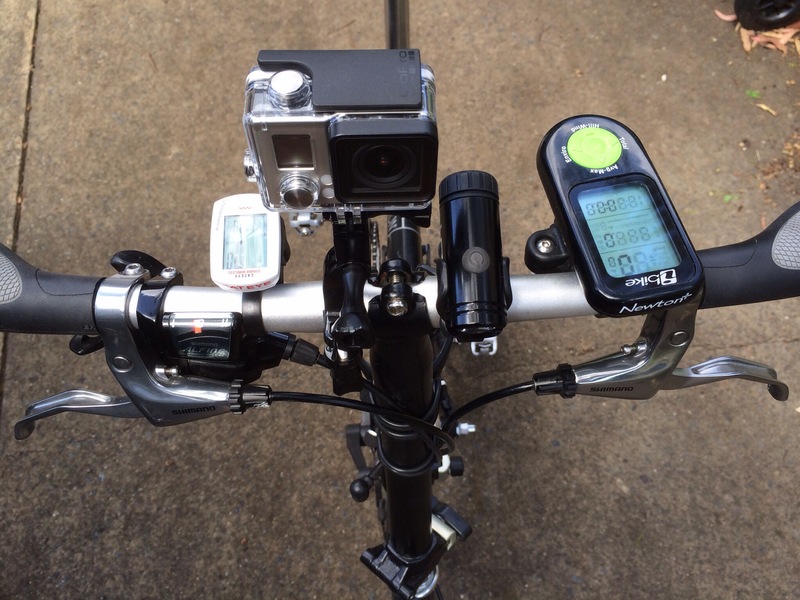 The handlebars have become somewhat crowded over time with an assortment of old & new gadgets. Now, Santa has apparently thought that my blog could benefit from including some videos & so I’ve gained a GoPro camera (the Hero3 White unit). I foresee the GoPro featuring in various posts, both with setup/use & (hopefully?) for some decent video output? My “work-in-progress” with the iBike Newton power meter may take some time before I can disclose how/why this has replaced my Garmin Edge 705 computer? The Lezyne Micro Drive front light is great – & particularly relevant to use on a Brompton! 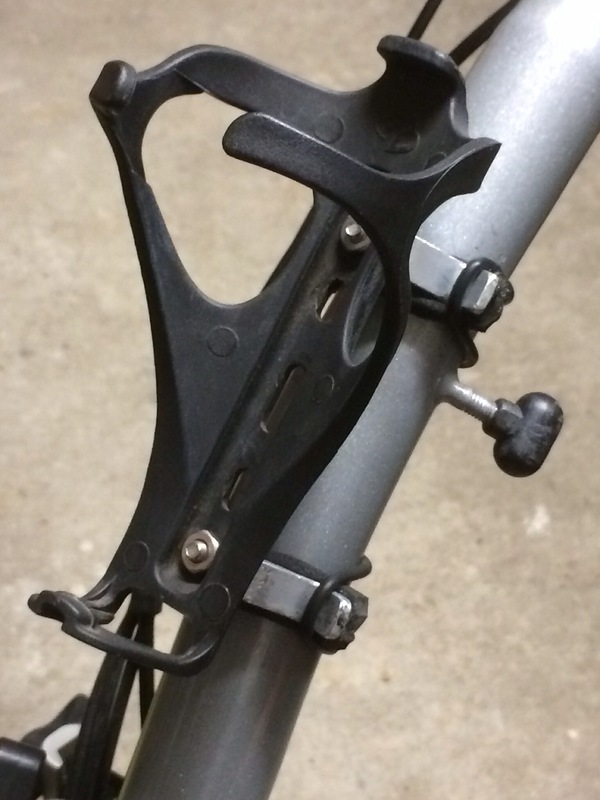 Long overdue is a post about my computer mounting system that avoids conflicts with the Brompton fold? Let’s have a happy new year! 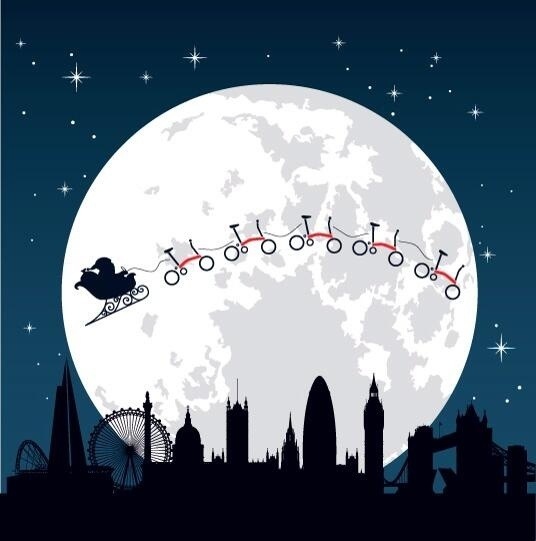 Christmas: rather a busy time & the blog bears the brunt? A family gathering here on Christmas Day has the top priority & there’s lots of work around the house & yard to be done (still…). Not helping is Mr Brush Turkey, who has the hide to keep showing himself around the remains of his nest (it’s slowly being demolished although he seems drawn back? – until the garden hose is pointed in his direction). My original version of a Bidon Cage was fitted onto both Bromptons, Ralph & Robinson, & have proved to be an excellent setup (if I do say so myself!?). They were really meant as an interim solution, until Brompton released their rumoured “magnetic water bottle” or something else came along that I was happy with. 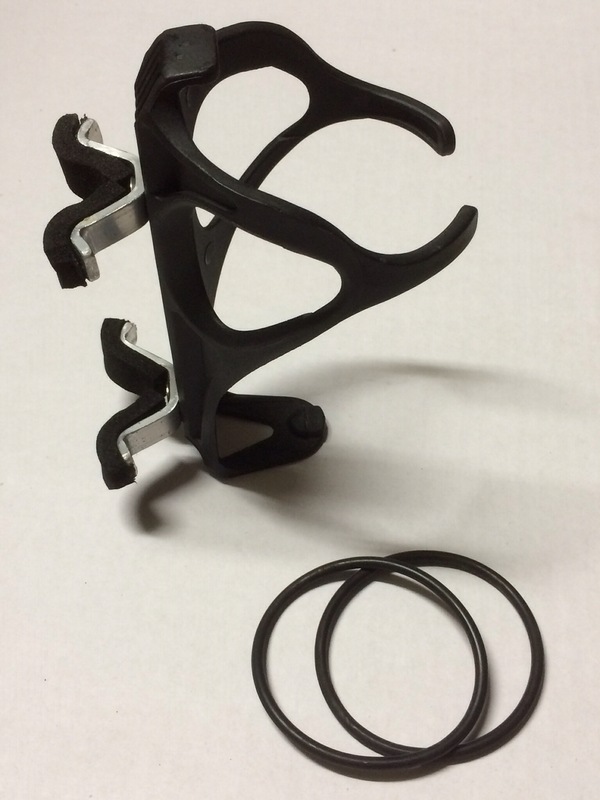 One unit that I’d read about (but never encountered in Australia) was the Monkii bidon cage & Brompton stem mount adapter. The reviews were good & once seeing them with the designer, Miles, at the CycleMiles stand at BWC2013, I figured they would be a quality addition to my Brompton tweaks (or at least deserved an evaluation?). 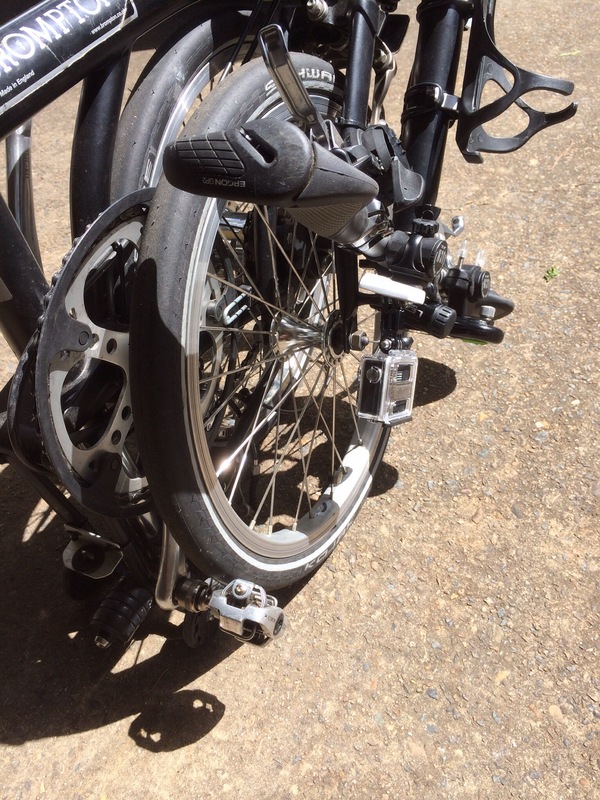 The turning point of the testing process came about when I needed to double-back on my ride to retrieve my bidon laying on the ground after being ejected vertically from the adapter clip through the jolt of riding up a driveway ramp! Not ideal & I could see no easy way of improving or tightening the cage clip onto the adapter lug. Sorry Miles, maybe I should have advised of my misfortune & maybe you’d already had a solution? With my version of a bidon cage having held up so well & so long – & survived all trips & travel without needing to be removed from Ralph or Robinson – it was a no-brainer to resume using it. While spending just over a week at South West Rocks we devoured all the local “what’s on” material & I noticed a brochure referring to SWR as “an idealic location…”. At the time I imagined the real estate jargon was mangling various words into a new one & it seemed quite appropriate. Later I discovered the urban dictionary definitions of “to be thinking of many good & bad ideas” or “close to or somewhat alike”. Now I am confused as to whether I’d seen a boo-boo or a secret message? We’ve visited SWR a number of times & quite like the small town feel but with all the facilities that are essential in a beachside location. This time we were bringing along Mrs Aussie’s mum in the Tardis, our VW T5 Campervan, for some sunny beach days & swimming. We’d booked a beach house & were also looking forward to some local cycling & expected to support many of the surrounding eating houses. 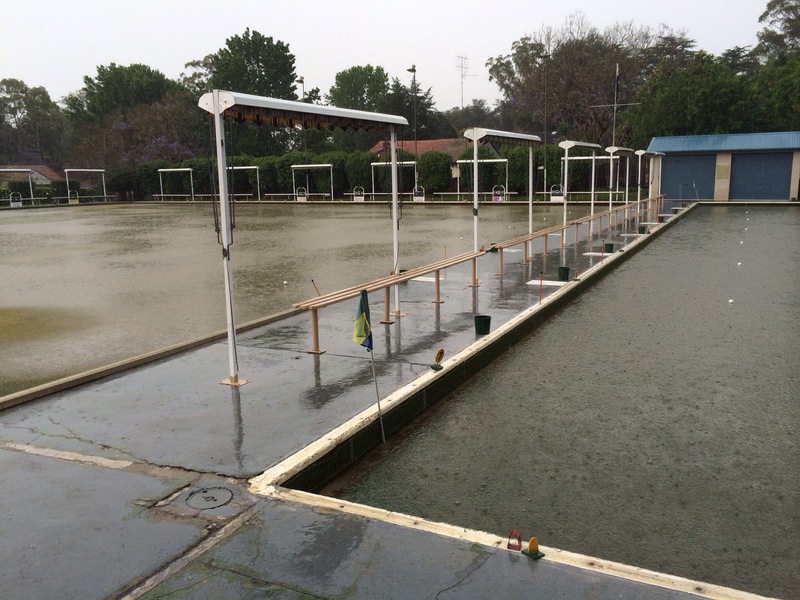 Leaving Sydney on time suddenly became difficult when the heavens opened & drowned my lawn bowling club greens on the day of my Novice Singles championship final. 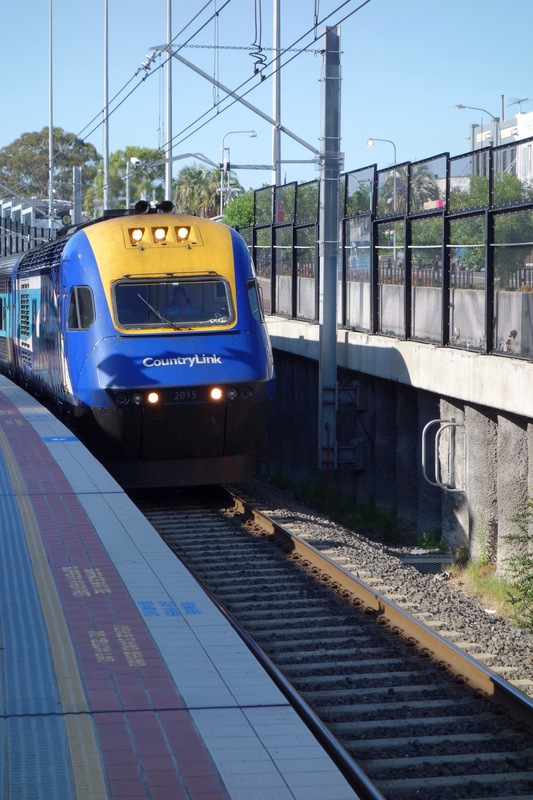 With the match postponed to the next day, we resolved that I would remain at home for the game & catch an XPT country train the next day, & be picked up from a station along the journey to SWR. A proper “urban idealic” situation? 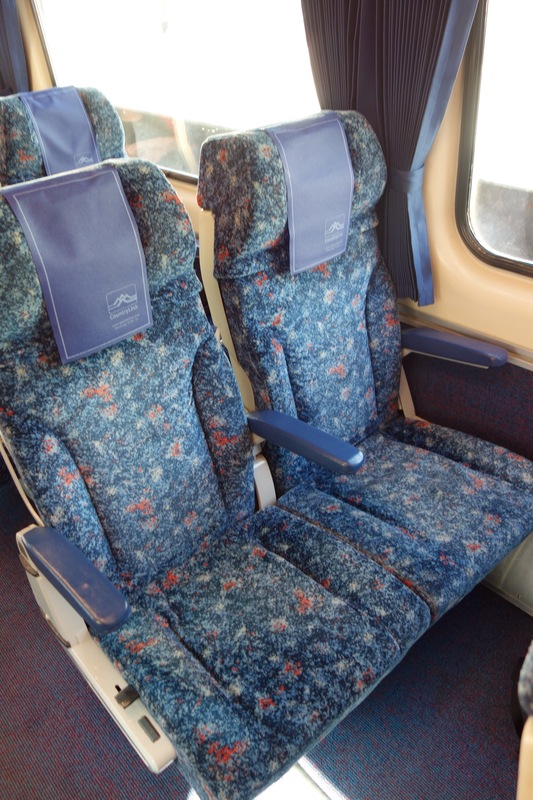 Aside from being delayed over an hour with a mechanical issue, all went well for my (overdue) first XPT trip. Not a true long distance train, it still had all the features: sleeper berths, first class & economy seating choices, buffet car, etc. 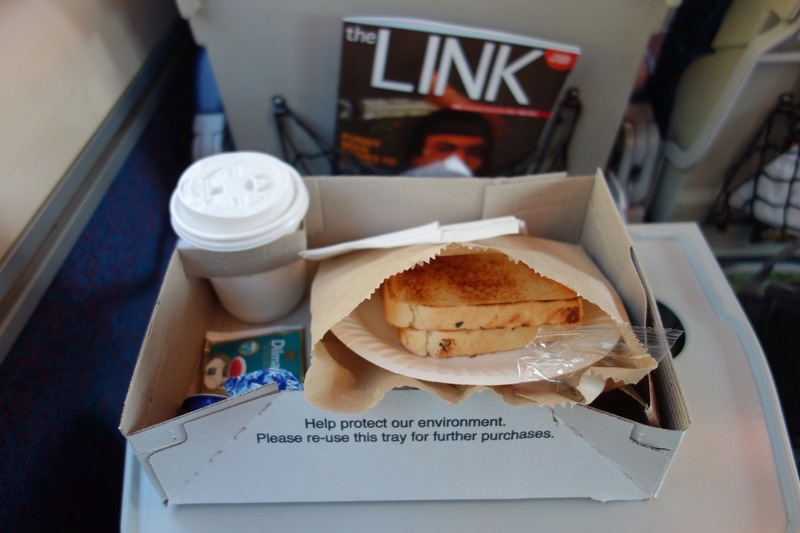 Unfortunately my ignorance of the “buffet car” vs “restaurant car” differences came as a surprise & disappointment when looking to sit down with a meal – hence the return to my seat with a snack!? 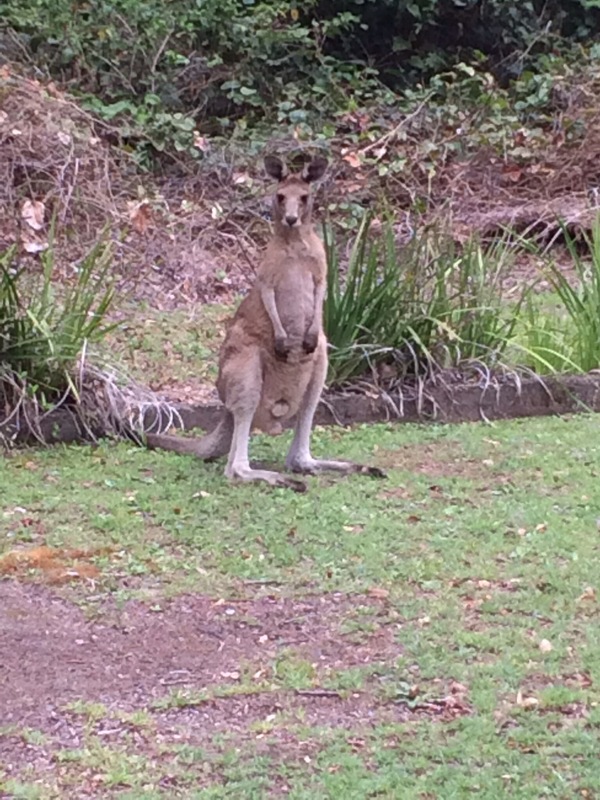 Arriving at our rental beach house, we weren’t sure who was more surprised: us or our lawn mower/gardener? 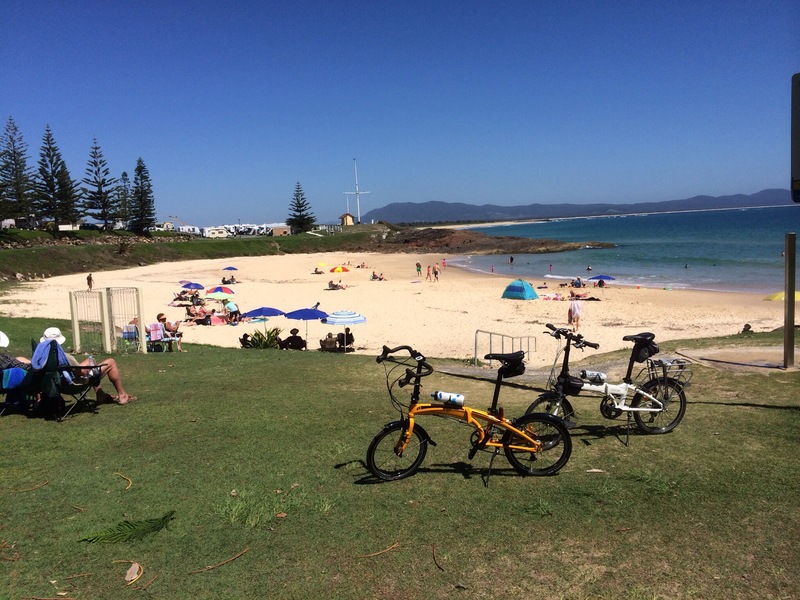 We confined our cycling to shorter trips, eg taking in the local sights via Mungo & Daisy. I ventured to the Country Club a number of times on Mungo to undertake more research into bias & weight control of lawn bowls. “Very fast greens” was my reaction during games & practice sessions! Many thanks guys, for the borrowed equipment & game-time – & I loved the mini-fridges on each of the rinks! Beach visits were the intention of the holiday trip & we certainly managed some days of sun, sand & water (balanced with a couple of days of rain?). 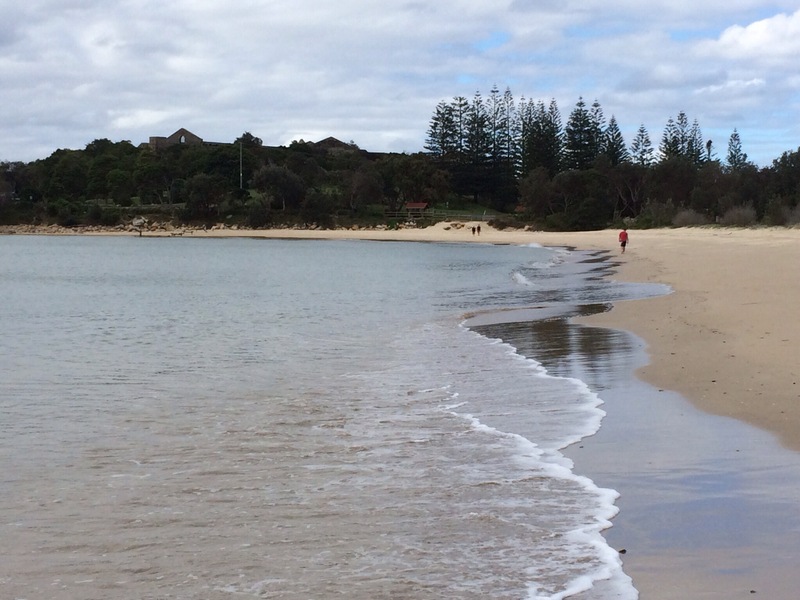 Here’s a “beach walk following rain” pic, also showing in the distance, the historic ruins of the Trial Bay Gaol. 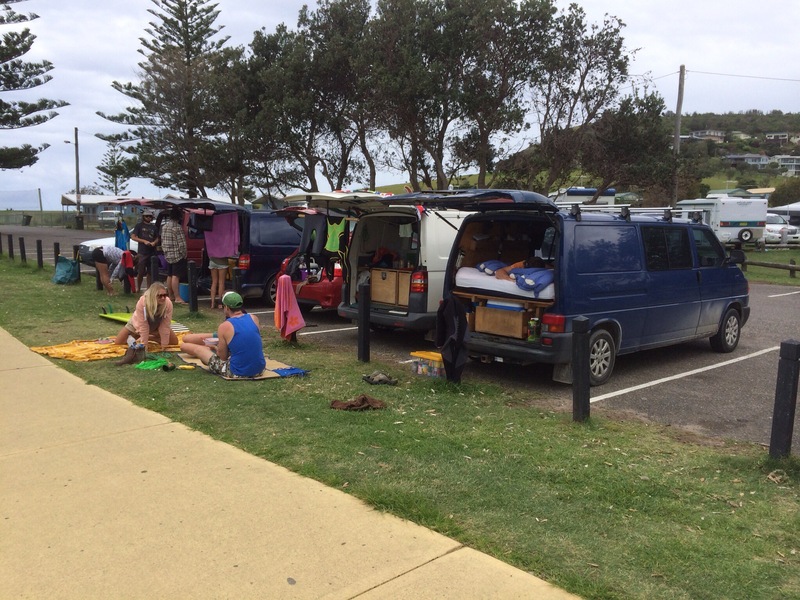 A visit to Crescent Head showed we weren’t the only ones with a VW T5. Probably saw about 10 (& the odd original Kombi) & amongst their numbers were these T4 & T5 models with home-made camper setups. Some interesting sights during the week with “the Mum” – & sounds! The breakfast toast & coffee-making were a sight to behold although quite understandable with new or different equipment to work with? (Ah, the challenge of travel…?) A “testing” of the smoke alarm was rather/very ear-splitting & so memorable was her response to what happens at home? – “I just run outside with it [the alarm]…”. 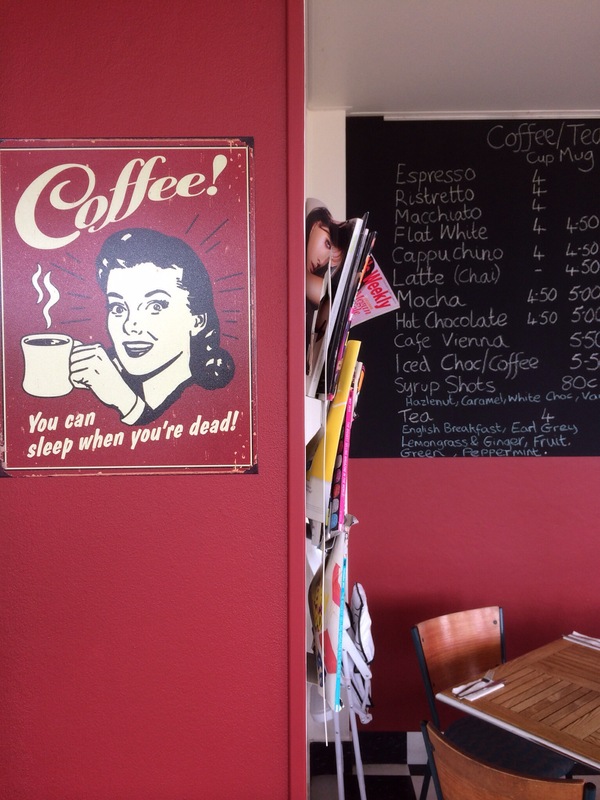 “Next time” I’ll be prepared with all my bowls equipment (& expect Robinson’s (M6R) luggage carrying capability to be employed), hope to do more cycling, should do those bush walks, must get to some more of the restaurant & cafés – & drink more coffee? 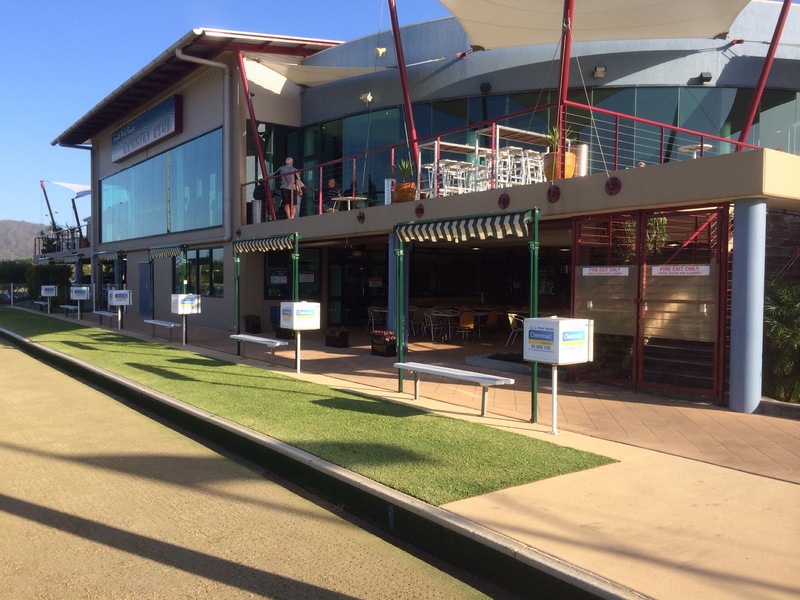 BTW, my lawn bowls final was also “idealic”: good weather, close result, but just the runner-up prize money!